The festival sponsors held a photo contest, so I thought I’d enter a few pics. Here’s a sampling of what I submitted. 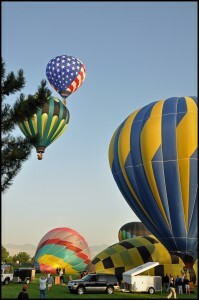 The evening of the balloon glow, I had several tasks on my to-do list to accomplish. 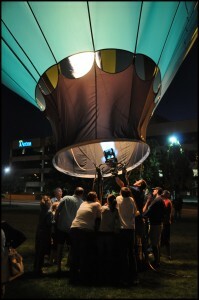 The weather had been threatening a storm, which would prevent the balloon glow from being possible. The rest of my party headed over early, and I’d planned to meet up with them if the weather looked promising. 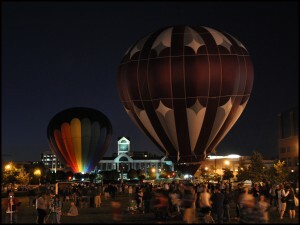 As the time for the balloon glow approached, the festival operators had still not given the word of whether it would be safe to fill the balloons. I couldn’t wait longer to make my decision, though. I knew the best light for my photos would be right at dusk, and unless I left immediately I would miss that lighting. I decided to take the chance, knowing that if the glow didn’t take place I would have spent a lot of time in the car that I could have been working on my to-do list. I arrived about ten minutes later than I would have liked, but I was able to catch most of the lighting I wanted. 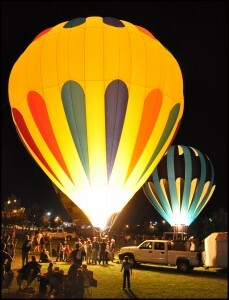 As it turned out, the balloon glow was a go. My leap of faith to pursue my course not knowing whether it would be in vain or not ended up leading to some nice photo ops and an enjoyable time with the people I attended with. * I had five minutes to gather products before the clock started for the ten-minute period. * The layout needed places for photos, but I couldn’t add the photos until afterward. In fact, I couldn’t base the layout on any specific photos. * The layout needed to contain at least one embellishment. 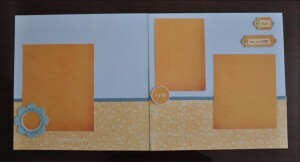 * The pages should be primarily made of cardstock or paper. * There must be room for a title and for journaling. 1. Ten-minute pushes have incredible power. The next time you have a task to do, set the timer and pretend you only have ten minutes to finish. You may not be completely done after the ten minutes, but I guarantee you’ll be much further along than you would have been had you not pushed a ten-minute time frame. Without my challenge, I’m sure I would still be looking through my papers after ten minutes—or even after twenty minutes. 2. Sometimes it’s okay to have a vision and a goal without knowing what the road you’ll take to get there actually looks like. My goal for this challenge was to have a nearly complete layout and to enjoy some creative play. I had no clue what cardstock colors or design arrangement would help me reach that goal, but I knew the parameters I’d set would produce the finished result. 3. It’s okay to be “good enough” on certain tasks. That’s a painful sentence for perfectionists. I could have spent hours creating a layout with perfect alignment and balance, or I could create a page today that’s done and is still “good enough.” I think we need to make choices between “good enough” and “perfected details” on the projects on our to-do lists. This Saturday, making an only “good enough” lunch or completing a “good enough” workout will give me extra time to iron out the details on a slideshow I’m creating. Next Saturday, I may decide that a “perfected detail” workout is just what I’ll need. 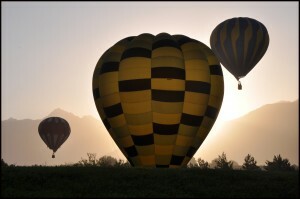 In prioritizing, we need to remember that sometimes “good enough” is good enough. Are you ready for a challenge? Find an item on your to-do list and try to complete it in just ten minutes. See how much you get done! 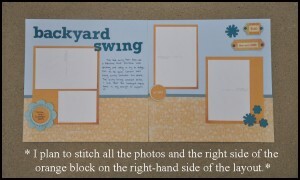 If you’re a scrapbooker, create a ten-minute layout like I did and then send me a link to your post when you’re done—I’d love to see your work. Here’s the nearly finished layout. I still need to print my pics and then add the stitching around them and in a couple other spots on the layout. But this provides the direction I’m going after another ten minutes. Healing comes in many forms, and I believe creating is one of those forms. Creating something good, whatever it may be, refreshes the soul. It can be hard to talk about our losses and grief, but Amanda Probst has a gift for showing us how to share our stories in an approachable way that helps us work through hard times. She published an article related to scrapbooking about loss in Creating Keepsakes last year, and I appreciated the words she shared. Now she’s created a blog called “Good Grief.” I think the title is genius, and I can’t wait to see all that Amanda (and her creative team) does with the new site. 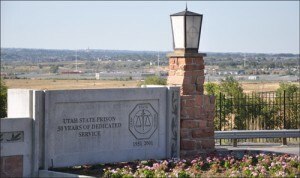 En route on an errand today, I happened to drive by the state prison. I noticed small flower gardens on each side of the entrance gate to the facility. I was touched that a facility with high-security, barbwire fences that may likely never win an award for being the most aesthetically pleasing building structure, at least compared to any design by Frank Lloyd Wright, has garden flowers to welcome everyone who passes by or through the gate. It was a nice reminder that everything we encounter has a silver lining or pink flower garden to look for. Even long lines, high electric bills, and new scratches or dings on our cars hold beauty in them; after all, they mean we have something worth waiting for, a home to heat or cool, and a car to make transportation accessible. What “pink flower gardens” have brought a touch of beauty or peace to your world lately? When I hopped in my car this morning to head to a book club, I noticed a tiny spider on my driver-side windowsill. I assumed he would blow off when I started driving, as most spiders usually do. Every so often, I looked to see if he was still there, which he was. When I stopped at a stoplight, he started to move for the first time since I hopped in my car. The stoplight turned green, and as I took off, he stopped moving. The more I stopped for red lights, the more I noticed this pattern: when the car moved, the spider braced himself so he could remain on the windowsill as the air rushed by; when the car stopped, he took the opportunity to roam—only to brace himself when the car began to move again. I became even more inspired by the spider as my drive progressed. After numerous times of simply holding on when the car moved, he developed additional courage, willpower, and knowledge. He slowly started to move even when the car moved. After each stoplight, he moved a little more on the next segment of my drive. And when he started to move toward the top of my window (which I didn’t want him near in case he found a way inside), I rolled my window down slightly. Each time I did, he moved back toward the windowsill, where I think he knew was the safest spot to be when the car moved. I love that he returned to his place of safety when his terrain began to shift. I learned a lot from this little spider. He reminded me that when life becomes difficult, we don’t always have to plow forward at the same speed we’d been moving during more comfortable times. If we are tempted to lose hope, we can instead brace ourselves or return to our places of safe foundation (be they spiritual, emotional, etc. ), grounding ourselves so we can at least hold on even if we don’t feel like doing so. (I was going to write “even when we don’t feel like we can,” but then I realized this spider must have believed he could hold on; otherwise, he wouldn’t have tried. Faith in ourselves, he showed, is part of developing courage to move forward during adversity.) Once we learn how to hold fast in the spot we’re in, we can start moving forward through our adversity a little bit at a time, just as this spider did. Eventually, we’ll see how we can move forward even when the metaphorical car we’re riding on may be moving faster than we’d like. 1. Take courage to not let tough winds blow us away. 2. Fortify or brace ourselves in principles and places of safety. 3. Learn to move forward one small step at a time. 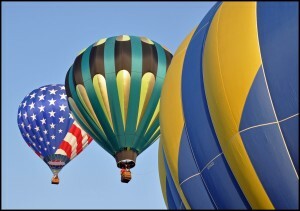 As we develop courage one step at a time, we’ll be better strengthened to handle even fiercer winds ahead. The top speed on my drive this morning was only around 40 mph, but I have a feeling that had I traveled to the freeway, this little spider would have found a way to hold on. A box of Cheerios for the low price of only $1.25? You don’t have to ask me twice. Granted, it was the small box size, but I’d been wanting Cheerios anyway, and a box found its home in my pantry. 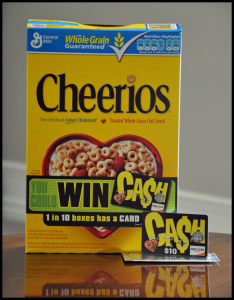 When I went to pour a bowl of the whole-grain oats on a lovely morning earlier this week, I noticed the marketing material on the front of the box: 1 in 10 boxes wins a cash card. I opened the box pondering how blissful it would be to find a cash card inside, but I wasn’t holding my breath. Then I noticed a shiny silver wrapper glistening in the sun (or at least that’s how I like to picture it). The song “(I’ve Got a) Golden Ticket” came to mind, and I was humored to feel a little like Charlie Bucket when he opened the Wonka Bar and found the golden ticket. It was a glorious morning indeed. The $1.25 box of Cheerios not only paid for itself but also left an extra $8.75 to use on the next set of groceries. As I reveled in the prize winnings, my thoughts turned to this scripture (see verses 20–24). I couldn’t help but think about how often we do our part to pay $1.25, metaphorically speaking, to do a good deed, and immediately God blesses us with $10 in return. Sometimes we may not see that $10, but we can trust it’s there—likely deposited into a bank account of blessings we’ll need during a hard road coming in the future. Other times, we get to witness the blessings immediately when a $10 cash card greets us unexpectedly. It seems all too unfair to receive $10 when we only paid $1.25, but I’m appreciative for that beauty of God’s love and mercy. I’m grateful for the $10 cash cards I receive from Him and from the incredible people who bless my life and have made me a billionaire $10 at a time. 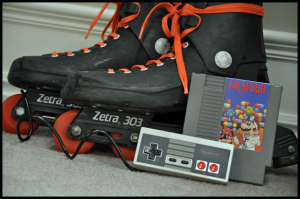 Childhood memories must be on my mind lately, because like the last one, this week’s 10-Minute Tale is also about childhood. Perhaps it’s because summertime brings out the inner child (particularly the child who wishes we had summers off). 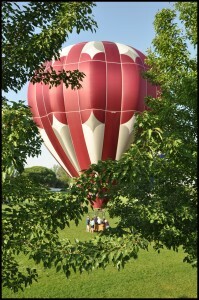 This week, the challenge is to record the typical activities you enjoyed during summertime. You can focus on a particular year or span all the summers of childhood. You’ve got 10 minutes—go! * Honestly, I can’t remember more right now, which is odd since these years were the most recent. I’ll have to ask my friends and siblings. But that’s for another 10-minute segment, since my time is up.